Throughout the book of Isaiah Jehovah depicts the leaders of his people as blind, spiritual drunkards and illiterates, who are incapable of coherently comprehending the judgments contained in the prophecy. As this commentary on Isaiah has demonstrated the leadership of Jehovah’s Witnesses fit the profile. That will be their condition up until the powerful presence of Christ ensues – at which point God deals a severe wound to his people. (See previous article) The discipline of Jehovah is intended to disabuse the people of God of their organizational idolatry and arrogance and prepare them for the rule of kingdom of heaven. The remaining span of verses in the 30th chapter of Isaiah portray what the book of Revelation calls the war of the great day of God Almighty at Armageddon. How do we know that? The seven successive heads of the beast are Egypt, Assyria, Babylon, Persia, Greece, Rome and the present Anglo-American duo. Hence, the judgment expressed against any of these “heads” may typify the judgment that God will bring against the beast itself, when it battles the Lamb of God in the finale. To illustrate the point, the 11th chapter of Revelation refers to the two witnesses being killed “in a spiritual sense” in Sodom and Egypt, “where their Lord was also impaled.” But, of course, Sodom did not even exist in the first century and Jesus was certainly not impaled in Egypt. He was put to death just outside the walls of Jerusalem, which the prophets referred to as Sodom. But what does Egypt mean “in a spiritual sense”? Likely, it is intended to symbolize Satan’s wild beast, which ever head may be ruling at any given time. That is because even though Rome was the ruling power at the time Jesus was killed – he being put to death upon the order of the Roman governor, Pilate – Egypt was the first empire that opposed God. Therefore, in that particular context it is used as a symbol of the whole political system. Likewise, we may expect the symbolic two anointed witnesses to be put to death by executive order of the beast too, during the reign of the eighth king – symbolized by the beast itself. Although the next span of verse speak specifically of God’s judgment against Assyria the verse above speaks of God judging “the nations” – plural. This would seem to indicate that Assyria represents the 8th king, which springs from the seven and which is supported by “ten kings,” symbolizing the complete number of earthly nations. God putting a bridle in the “jaws of the people” of the nations connects with the 38th chapter of Ezekiel and the “hooks” placed in the jaws of Gog, the leader of the great military force that is destined to come against God’s people in the final part of the days. It is noteworthy that the prophecy of Isaiah does not state that God himself is coming from far away – as if he has to travel a great distance from heaven. Rather, it says “the name of Jehovah is coming from far away.” What is the significance of that? The name of Jehovah and what it stands for is far away in the sense that people do not have God close in mind. Many especially despise the word “Jehovah.” No doubt presenting God with a personal name is particularly odious to persons who hate God. To underscore their contempt, most modern versions of the Bible have erased all traces of the name of God. They did not believe the name of God is important. 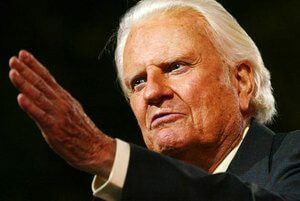 For example, Billy Graham, arguably once the most prominent evangelical preacher in America, used to have a syndicated column where he answered Bible questions. One reader asked ‘who is Jehovah?’ Graham responded that Jehovah was the name of the old tribal god of the Hebrews – as if his name is no longer important! The Bible record indicates that an angel of God slew 185,000 Assyrian troops as they prepared to assault Jerusalem. However, God did not produce any supernatural display on that occasion or demonstrate his rage in any visible way, such as with a flaming fire or thunderous cloudbursts. So, why does the prophecy describe God’s judgment of Assyria that way? Again, because the Assyria typifies the last king. And the Scriptures describe the revelation of Christ coming about in a flaming fire, bringing destruction of those who do not know God or obey him. 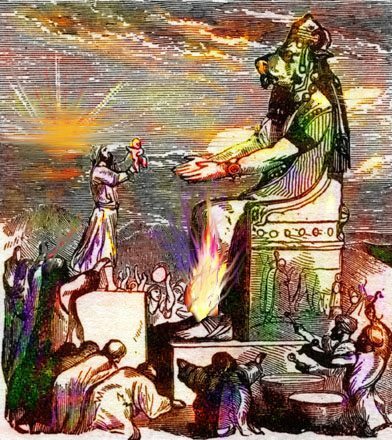 In the Watchtower’s Insight Volume (now online) it is said that Topheth was a place outside of Jerusalem where the wicked kings performed child sacrifice accompanied with the clamor of music and tambourines to drown out the screams of the children. Later Josiah made the place unfit for worship. It is thought that the place then become the infamous smoldering dump Jesus referred to as the perpetually burning fires of Gehenna. What is “the mountain of Jehovah”? It symbolizes the kingdom of God. And when are God’s people brought into the mountain-like kingdom? After God deals his people a severe disciplinary wound and immediately before God crushes the nations. Frankly, there is none. The very fact that the Watchtower Society has exalted itself as the city on the hill is the reason God is going to destroy it, as will be considered in the next article.